The much awaited E-book is finally ready and you can download it. 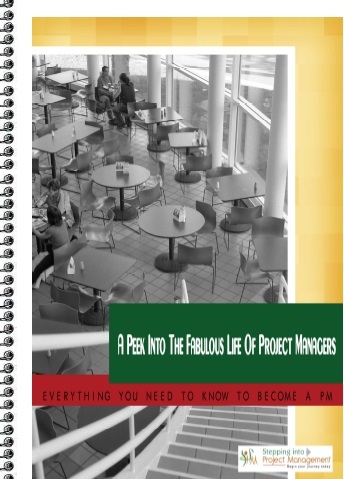 The e-book takes you through the fantastic journey of all these project managers and their stepping into it. 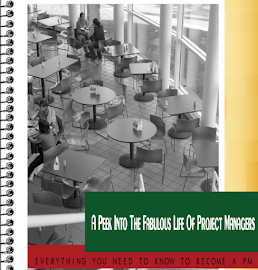 From their inspiration to their regular routine the book covers all you have ever wanted to know about being a Project Manager. If you like what you read, share it and drop a line or tweet to the lovely contributors (you will find their contact info in the e-book). What an honor to have them all together. If you remember my last post, I wrote about a bunch of Project Management software’s, so today I asked WaterFlowon about their journey in creating this software. Why the need to build this software? 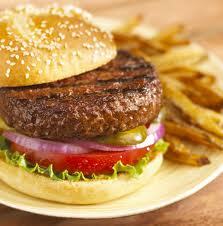 We ourselves have several ongoing projects. We found that it is really a challenge to manage them in parallel without any effective tools. We are often lost in the email and phone call chaos, never having a good solution for managing our files and documents, although we have tried many methods. We tried shared drives, Drop-box, SVN + VPN, and Google Apps, but finally we gave up. There are just no tools on the market that can satisfy our needs perfectly. If we want to work smarter, and stop losing our digital assets in the future, we need a solid solution. Then, we came up with the idea of Waterflow, a tool with just our needs in mind. How long did it take to release the beta version? It took us 3 month to release the beta version, and we started to use it internally. We tweaked it, changed it everyday, and especially tried to make it much simpler, lighter and more secure. Tell us about the software. We hope it will be extremely simple, really useful and as light as it can be. It should be simple, so simple that everyone can learn it in 10 minutes. In the enterprise software industry, there is a common and strange phenomenon: companies have invested tons of money to buy expensive software for their staff, expecting it to improve the productivity of employees. On the other contrary, the staff refuse to use it, so they hire “experts” to do the training job, and if this still can’t persuade them to adopt the software, they write it into the rules of the company, so finally the staff starts to use it. However, not more than one month later they return to where they were, or they complain about it every time they have to use it. We call it adoption failure. We don’t want to be put into that category. Why don’t people use the software? Things are very simple. You didn’t give them a tool, but rather a new burden. Why were you cheated by a burden instead of a real tool? When they can’t make things simple, they do not understand the problem, not to mention solve\ the problem. In fact, they solve a problem by creating a new and even bigger one. People will be easily cheated by them at the start, but never for the long term, as they can feel a problem even if they can’t tell where it is. We don’t want to make those kinds of software. We tried to solve the real problems without creating new ones. We know that’s the source of the complexity, distractions and useless features. Just the opposite, we just identified the essential and got rid of the rest. This lead us to a simple endpoint. 1.Put every thing, files, artworks, and plans in one secure environment and enable stockholders to access it anytime anywhere. 2.Helps a team discuss anything securely and easily, and store everything discussed neatly. Any time you need them, they are at your fingertips. 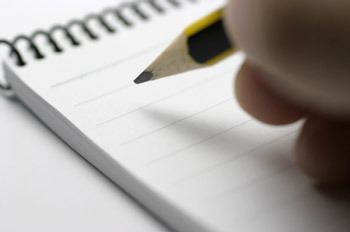 3.Assign tasks and keep track of them. Track project deadlines and milestones, view late content, view upcoming and completed tasks, and reassign them to team members if necessary. 4.Organize events and meetings easily. With milestones with titles like: “meeting: discuss the launch date of our new company website”, you can add and track events and meetings effortlessly. 5.Manage team member profiles and contact details. When they have a problem they always know whom to turn to. When they want to have a talk, they have the contact information at their fingertips. 6.Manage multi-project parallels effortlessly. Waterflow will keep every project’s information neatly organized. Even one year later, you can go back to see that project, and you will feel like you were working on this project yesterday. Good software should be light, and never ask users to learn many things, or to follow this and that. Users know best how to deal with their jobs, so they can just use it their way and there are many ways to use it in conjunction with Microsoft Word and Google. We don’t want to lock you into anything either. People use Waterflow as a project management portal, as corporate intranet, client extranet, a secure collaboration space, a knowledge management base and even as a private online club space. Personally I use it to plan trips and weddings or to write books. We encourage you to do things your way and share your tips with us. Three things project managers should expect from this software. 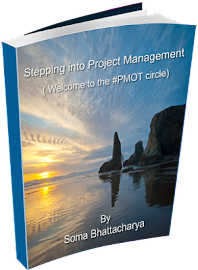 a.Use it as your project management portal to manage multi-project parallels effectively. b.Use it as your corporate intranet or client extranet to work with your staff and your clients. c.Use it as a knowledge portal to accumulate knowledge and make good use of it. What’s next? Any new features coming up? Goals- One thing: in project management the thing you can’t emphasize more is the goal. It’s too easy to ignore the goal to instead do something irrelevant. You always have millions of things to do instead of the goal you need to reach, such as working on the things you like, working on short term interests, getting lost in a department war, walking too far toward the details, emphasizing the method too much, and even the technology itself. I could go on, but you get the idea and I don’t want to bore you. Doing the right thing is infinitely more important than doing things right. Furthermore, if you want everybody to feel that something is meaningful, to engage in the project, to make the right decisions, to get their priorities straight, and so on, don’t waste any time or budget on anything not needed by the real goal. You have to make your goal clear and make sure it makes sense for everyone in your team. Then you can start to enjoy the power of a team composed of engaged doers. Rules- Nowadays everyone in the world talks about less control, letting your team manage themselves, follow their passions and so on. It seems like we can do things without rules or as few rules as possible. We tried this theory ourselves and did a lot of crazy things to test it out. We let go of the normal office hour routine, let projects go without plans or milestones, and let people manage themselves. Did we get the results we expected? No, we got the opposite results instead. People did things they liked rather than their duties, wasted their time on Facebook, Twitter, or whatever was at hand. People collaborated badly, as they tried not to interfere with the “freedom” of their coworkers. What’s wrong with rules and what’s wrong with a world without rules? Could you image a society without law? You get the idea. Outdated rules are wrong. Ignoring the rules is wrong. Not changing your rules according your changing reality is wrong. Having rules isn’t wrong at all. If there are no rules, then nothing can be accomplished. 2.Set a fire wall for the “bad guy” who wants to do bad things to your business. 3.Provide a heathy environment for the positive or kindhearted people to be more positive and nicer. 4.They can be guidelines to the frontline worker who wants to be a good decision maker. 7.Set the tune of your culture. You can easily build the culture you dream of by setting the rules and obeying them strictly. These two features are completely new in the online collaboration tools market. We are excited about them, and I hope you will love them as much as we do. As a giveaway, 10 winners get 10 year "standard subscription" of their product. Email or tweet me with text "Want water Flowon" . Simple, clean and intuitive- this piece of online software makes it easy to work on projects! To work with Bird View, you won’t need additional hours of training or blank stares to figure it out. It’s right there for you. •Contributor- can see project task, edit assigned, and create new ones. Also can post messages. You can also provide “allowed values” for each of these customized fields. What fun! With each task, include alerts. The Dashboard is not cluttered at all and like most software’s shows your assigned tasks . Of course you can re-brand it with your own logo and organization name. I started using it for my personal projects and will use it. If you have used basecamp before, it has a similar feel to it. A collaborative tool for projects where the members are all in hose , virtual or located at different places. I am an aspiring project manager. When I was a kid, I wanted to become a teacher, novelist, professor, copywriter but I never dreamt of becoming a project manager. 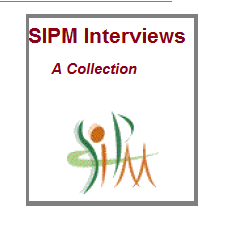 I had never heard about Project Management. How, I wish I did! One thing lead to another and I stumbled upon this arena just by chance. I had completed my post graduation in Mass Communication and joined a small IT company in Chicago as a management trainee. While on one hand I got involved with marketing for the company, on the other providing a helping hand to the project side got me curious. I never looked back again, few presentation and documentation later I switched to the IT department. Currently I work as a business analyst and part of the project management team and have had the opportunity to have some great mentors who trusted and inspired me. So, why the blog? I have been reading blogs about project management for a while now; it was fascinating to see people sharing their knowledge. I have learnt so much from these blogs, that I am in debt to all these authors (If you see the blog list to your right, you will know what I mean). However, most of the blogs don't advise you on how you can become a PM. Most of the bloggers are hugely successful Project Managers in their respective fields and sometimes talk about issues that might sound alien to most of us. This blog, is my commitment to become a PM- to talk about my mistakes, my learning process and blog my journey with dollops of honest writings, scouting for some advises for me and everyone else who would like to be a PM. The day I wrote this, I didn’t think I would continue it for the next three years. I am glad I did. I met you in my journey. 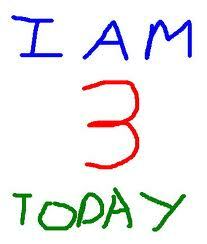 Thank you for making it so special. There will be giveaways, so watch this space.